Ok, as mentioned over the PA during the State Championship Race, the track will be closing for an undetermined amount of time. We have most of the materials, equipment, and planning in place to go forward and start prepping the track for the slurry, and eventually applying the slurry to the tracks surface. It is our hope that with enough volunteers, we can all get this done in 2-3 weeks. Why are we doing this, and why are we doing this now? For our newer members, and for those who are not familiar with a track that has been slurried, this "slurry" that we will be applying to the track surface is a mixture of material(dirt/sand/clay/etc..), water, and Soiltac, which basically is a non-toxic and environmentally safe dirt glue, mixed into a loose pancake batter like consistency. This slurry will then be applied to the prepped track surface, in several coats, and then fully cure in a weeks time, and creates a tough wear and erosion coating on the track surface. This "slurry" treatment will drastically reduce maintenance from wear and damage resulting from use, wind, foot traffic, etc.. The result is less sweeping, watering, blowing, repairing, etc.. More importantly, this "slurried" surface will also greatly reduce erosion damage during rain, and the eventual long and hard work to repair the damage. The treated surface also allows racing to continue sooner after a rain. 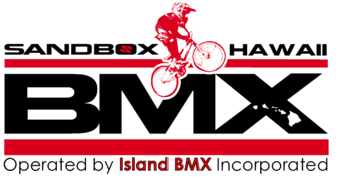 Other benefits is a faster surface, more traction, cleaner bikes and gear, less dust, greatly reduced water usage, and an overall better experience of BMX racing at the Sandbox! Less maintenance/repair on the track also means that the staff and volunteers can now concentrate more on other aspects of the Sandbox facility and operations. The surface will be slightly similar to the surface on our "Pump" track, but with a smoother surface. Quick history. It is believed that this track treatment was first conceived in Florida, where the very frequent summer thunderstorms forced BMX track operators all over Florida to come up with a way to reduce the track erosion damage, and get racing back underway as soon as possible after a hard rain. Most, if not all tracks in Florida are now either "slurried" or "skim coated"(a similar process). With a quick google or YouTube search of any Florida BMX track you will see the slurried surfaces, with most of the tracks using red clay material. Many other tracks all over the country have also coated their track in the past couple years, and others planning to do the same. Well, basically everything we needed to to this in place now! We have purchased and received the 275 gallon tote of Soiltac, we have finally found the best material for this process, we have a small window of access to some specialized equipment that will help this process go easier and faster, and historically, a dry summer almost always preceded a wet winter, so we want to get this done before the winter and the rains rolls in. We will keep you informed about workdays, progress, and track re-opening date through Facebook, our website, instagram, and Rainedout. Aloha, and thank you for your patience.